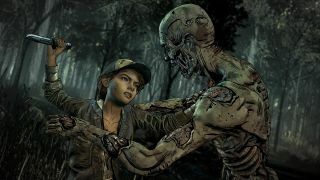 Telltale has detailed how long we'll have to wait in-between instalments of its latest episodic adventure, The Walking Dead: The Final Season. In a tweet from the company's official Twitter account, the developer confirmed there'll be roughly six weeks between each chapter, culminating in the final episode—called Take Us Back—which is expected to release just in time for the holidays on December 18, 2018. The two other instalments between episode one and the final chapter—cheerfully entitled Suffer the Children and Broken Toys—will release on September 25 and November 6 respectively. Naturally, even the best laid plans may come undone and it's possible the release schedule will slip, but the advance notice is at least an indication of Telltale's desire to speed up its chapter distribution. It took seven months for us to get from season one's opening episode in April 2012 to the closing chapter in November 2012—an agonising wait for some, particularly given Telltale's penchant for cliffhanger endings. The Walking Dead: The Final Season's first episode is out now on PC, PlayStation 4, and Xbox One. If you've already finished up but still looking for a Clem fix, check out our latest feature on how The Walking Dead's final season is changing the rules.